This photo was taken after the training day of 15 May in which, I delivered a lecture on live fish handling followed by country reports that have been presented by course participants. This 3-month training course is being organized by the Egyptian International Center for Agriculture – EICA” and jointly supported by EICA and Japan International Cooperation Agency (JICA). 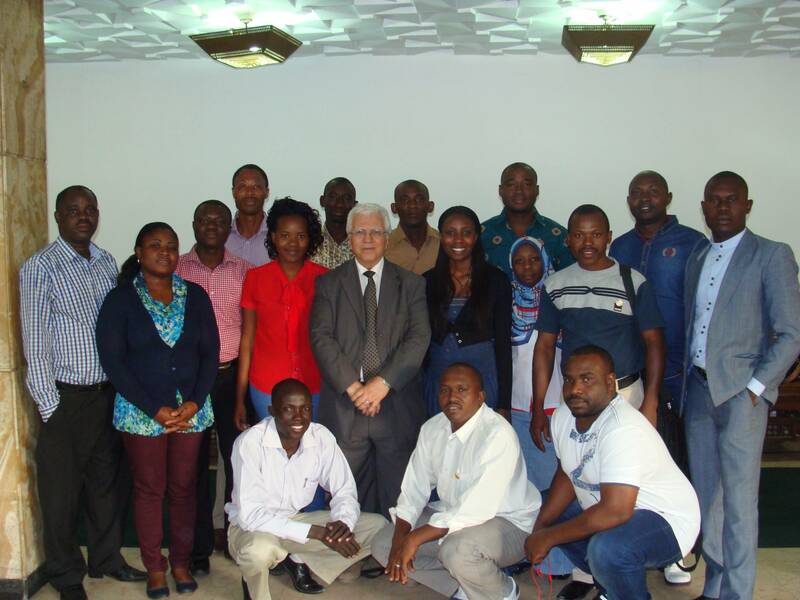 The photos shows Dr. Abdel Rahman El Gamal and the course participants: Ignace Gohoun (Benin), Corneille Wantofio (Benin), Innocent Zambou (Cameroon), Joseph Bolaya Betomta (DR Congo), Chantal Sengue Ngoulou (Gabon), Jean Michel Megne Me Zeng (Gabon), Ivan Venkonwine Kaleo (Ghana), Patrick Appenteng (Ghana), Laban M. Silli (Malawi), Carolyn M. Chinguo (Malawi), Hermenegilde Iyakaremya (Rwanda), Khamis killei John (South Sudan), Mamoun Obeida (Sudan), Twasul Musa (Sudan), Fadhili Ruzika (Tanzania), and Majorie Mbambara (Zambia).